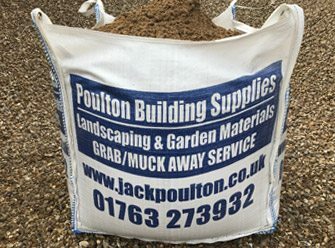 Jack poulton and Sons Ltd supply a vast range of aggregates within the Hertfordshire, Bedfordshire, Cambridgeshire, Essex and North London areas which can be delivered on our large fleet of tipper lorries (for loose loads) or on our crane/grab lorries for jumbo/bulk bags. We can also deliver loose loads on our grab lorries which can then be grabbed off into dumper trucks or over walls, fences and hedges. We can supply Jumbo/bulk bags (approx 1 ton). Minimum delivery loose is two ton. 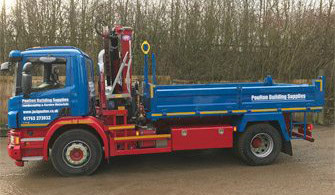 Our smallest tippers can deliver between 2 and 4 ton. We have 4 wheeler tippers which can deliver up to 7.5 ton loads. We have 6 wheeler tippers capable of delivering up to 12 ton loads, and our 8 wheel tippers up to 20 ton loads. Our grab lorries can deliver up to 16.5 ton per load. 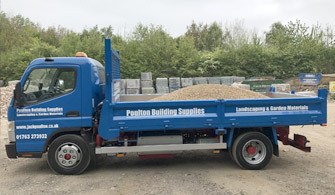 With our vast range of tippers and grab/crane lorries located in the Hertfordshire, Bedfordshire, Cambridgeshire, Essex and North London areas, we are able to cater for every request to get your building materials & aggregates to your site as quickly and in the best way possible. 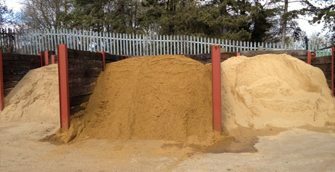 You can collect any aggregates we hold in stock from our yard in Buntingford, Hertfordshire. We can load loose loads (by the ton) onto the back of your tipper lorry, trailer or pickup truck, or we have 25kg mini bags or jumbo/bulk bags available for collection. Payment can be made by cash, cheque or card payment. Please phone to discuss your exact requirements on 01763 273932.